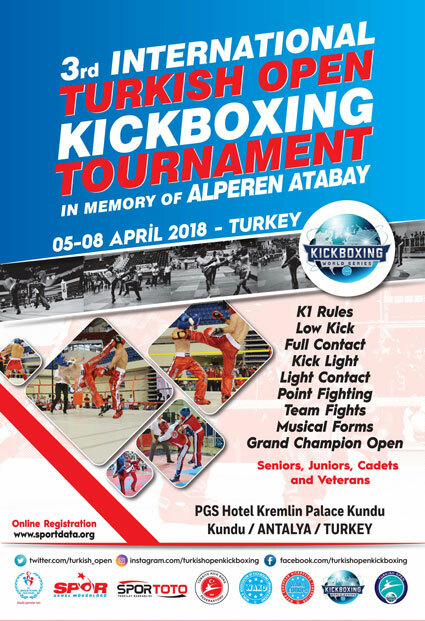 3rd International Turkish Open Kickboxing Tournament in memory of Alperen Atabay was held in PGS Kremlin Palace Hotel, Antalya, Turkey from 5th to 8th April 2018. The tournament has 2353 participants from 27 countries and 4 continents. 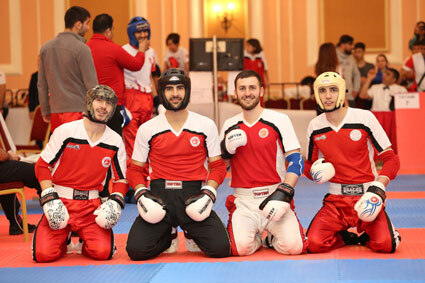 This year’s event became one of the biggest in the world, with highest number of participants in ring sports and with one of the few highest overall. The event started with opening speeches of Mr. Salim KAYICI, President of Turkish Kickboxing Federation and WAKO Europe Vice President and Mr. Roy BAKER, President of WAKO Europe. Antalya Province Vice Governor Mrs. Canan HANÇER BAŞTÜRK, Sports Vice General Director Mr. Ömer Altınsoy, Antalya Sports & Youth Provincial Vice Director Associate Professor Burhanettin Hacıcaferoğlu were present at the event. Athlete with down syndrome Yücel Mehmet ASA performed kickboxing demonstration. Participants also raised WhiteCard to support Peace through Sport. Starting from next year, Turkish Open will give out money awards. Thanks to everyone who participated or contributed in this event. 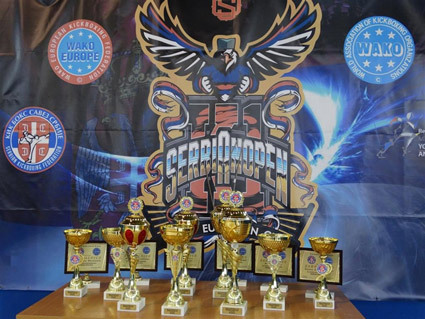 Serbia Open European Kickboxing Cup was a successful event. The participation of 257 competitors from 69 clubs, once again confirmed the interest in this Cup. The best WAKO competitors in the ring K-1 discipline gathered in Belgrade. There was also a competition in Kick light tatami discipline. During the Cup the Sportdata electronic scoring system was used, thus simplifying, accelerating and transparently showing the scoring quality. At any moment, the audience could have an insight into the status of the scoreboard on the screens next to the ring. The final bouts picked up for the Gala evening show expressed the whole beauty of this sport. 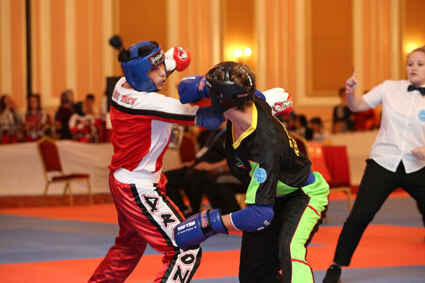 The audience was able to enjoy the 13 matches, among which competed the WAKO World champions as well as the participants of the World Games. Of all participating countries, Serbia resulted the first one, with 44 gold, 52 silver and 64 bronze medals. The host country had also the highest number of registered participants (160), and in the final order moved farther away from the other medal winners. The second nation in terms of success was Bosnia and Herzegovina (gold 6, silver 5, bronze 4) and third one was Slovakia (gold 6, silver 4, bronze 3).